Customized training plan including: socialization, puppy basics, potty training, obedience commands, polite greeting, leash walking, service & therapy dog training, off leash foundation training, relationship training, problem behavior prevention, house manners. Customized training plan: socialization, puppy basics, potty training, obedience commands, polite greeting, leash walking, service & therapy dog training, off leash foundation training, relationship training, grooming, crate training, problem behavior prevention, house manners. If you’re like most of our clients, your dog is an essential part of your family. You got your 4 legged family member to have a friend who you could cuddle with at home and enjoy fun adventures together. But if your dog doesn’t know the proper rules and commands to live successfully with you, that joy can quickly spiral into stress, problems, and failure that affects both you and your dog. 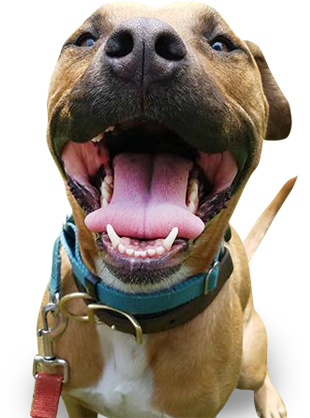 Dogs who don’t have training often struggle with pulling on leash, being too high energy, jumping up on people, excessive barking, pottying in the house, generally not listening (especially when distractions are around), and many other problem behaviors. If that’s your dog, we know how challenging it can be! Bringing a dog into your life was supposed to be fun but instead, you may find it’s turning into a chore. Or, even worse, your dog is having to miss out on fun opportunities because he or she can’t mind their manners. But it doesn’t have to be that way! Imagine coming home from a long day of work and having a dog who happily and politely greets you at the front door. Consider how peaceful a walk could be without your dog pulling you in every direction and frantically sniffing, barking, and tripping you up at every turn. Wouldn’t it be nice to have a dog who can listen to commands every time, greet friends with jumping all over them, and stop barking at everything?? We can help! 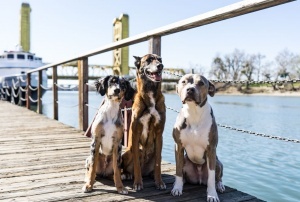 Tug Dogs trainers offer fast and effective dog training that will teach your dog how to follow commands (even when distractions are present,) walk nicely on leash, greet guests without jumping up, and be a better-behaved companion. In addition, our trainers will teach YOU how to maintain this training so it lasts long after your dog leaves our training programs. 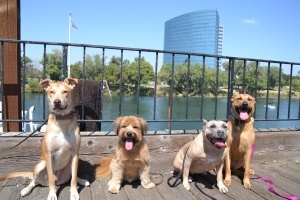 We even work with dog owners looking to prevent problem behaviors and get their dogs off leash trained as well as working in service & therapy dog roles. At Tug Dogs we are known for providing top quality dog training from experienced trainers who make training both fun and effective. It’s simple to get started by clicking on the scheduler below to set up your free phone consultation where one of our skilled trainers can learn more about your training needs and give you all the information you need to know about working with Tug Dogs. 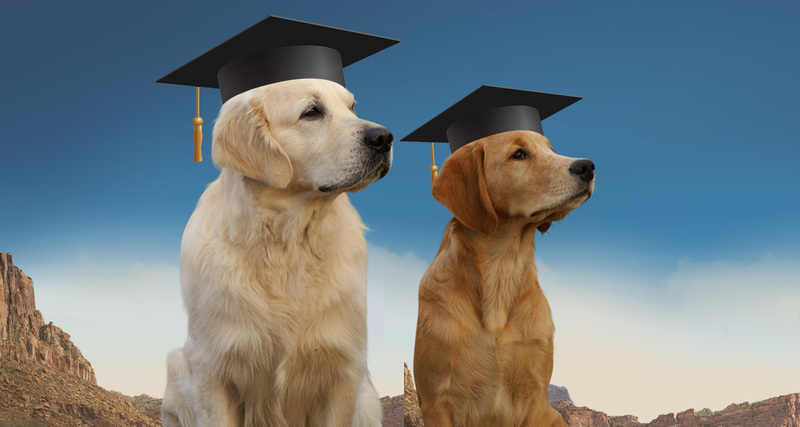 We look forward to helping you and your pup on your training journey so that you can live your best lives together! Customized training plan to give you exactly the training you need without paying for anything you don’t! *Available to dog 6 months and over without serious problem behaviors such as fear, aggression, anxiety. (need help with your dog’s serious problem behavior, click here ). Training must be completed within one year of purchase.